Home electrical What is Electrical Contactor? How Does a Contactor Work? What is Electrical Contactor? How Does a Contactor Work? An electrical contactor is an electromagnetic switch similar to a relay. It is a switch which can be controlled with the current/pulse to switch over an electrically powered circuit. Having answered the question "what is a contactor?" 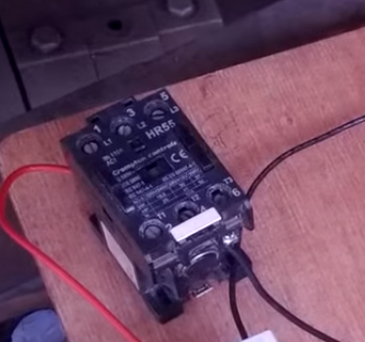 let us see how does a contactor Work? When current passed through the electromagnet, a magnetic field is produced. This results in the contact between movable core and contactor. Contactor vs relay: If you see in industrial control panels, both relay and contactors are used for the same purpose, so why different names? Both of them perform the same task. The relay is usually used in low voltage paths such as switching tube-light or small LEDs. The contactor is used in electrical circuits of industrial motors or other heavy applications. So, the difference is in the application point of view. The basic working principle is the same for both. The relay behaves similarly to how a contactor works. If you want to switch circuit with high voltages, use contactors and if you want to switch light voltages then the relay is ready for you. It is important to note here the difference between protection and switching. A relay is a protection device whereas a contactor cannot assure you about protection. The relay can differentiate between normal & abnormal conditions and give command accordingly which contactor cannot. Switching means to break and make a circuit and contactor is mainly used for that purpose. Hope this clears your concept. Contactors are available in a wide range of capacity and forms. For any contactor, rating means load current per pole and coil voltage.